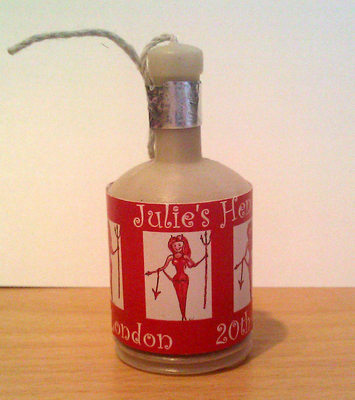 Mini party popper with our red devil design on the wrapper. A short message (ie: name and date) can also be added. Please type in the freetext box below what personalisation you would like on the wrapper. If you do not want any message please type n/a and the wrapper will just have the red devil on it.